Steve resides in the city of Wollongong on the New South Wales south coast with his wife Jenny and four children. He has served in a full-time capacity as National Director for Youth Mission Team (YMT) Australia for just over 20 years. 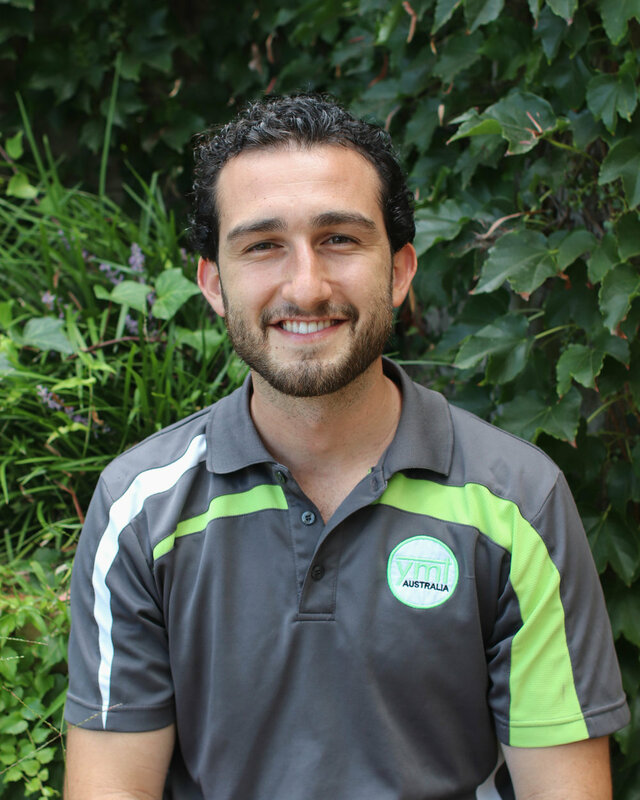 Despite having completed a Bachelor in Education, his entire adult career has been dedicated to serving with YMT. 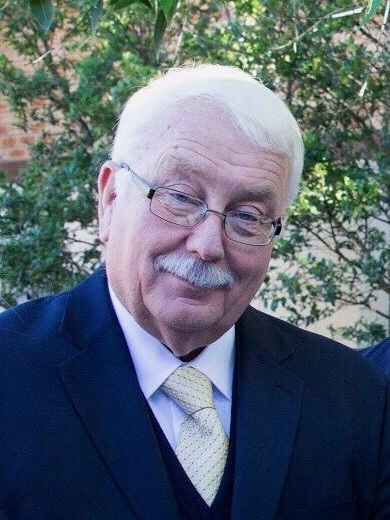 He quotes two key reasons for his passion for the work of YMT; his own personal conversion that was the direct result of the ministry of YMT in its first few months of operation in 1986 and the profound impact that he’s witnessed in the lives of countless young people and team members as they’ve each opened the door of their heart to Christ. Steve was on an Advisory Committee for World Youth Day Sydney, 2008, and was a member of the “Receive the Power Live” Committee. As well as being on the Evangelisation of Religious Education Committee for the Parramatta Diocese for two years, Steve has given input at broader church events such as Ignite and Young Men of God Conferences. In addition to his family, his great loves are YMT, the Disciples of Jesus (DOJ) Community of which he is a Covenant member and International Council member, and Oztag (some would say not necessarily in that order). Tim was born in New Zealand and now lives in Wollongong with his wife Jane and their seven kids. He has served with YMT for fourteen years, thirteen of those in a leadership capacity. He has lived in Sydney, Perth and Melbourne in order to work with Youth Mission Team. Tim holds a Management and Leadership Diploma, and a Certificate in Human Resources. He has also worked in Human Resources in the business and finance sectors, gaining a wide range of experience and a professional skill set for his role now as National Manager. Tim loves the outdoors- he enjoys bush walking, going to the beach, camping and playing soccer. Sue grew up in Wollongong and lives in Mangerton with her husband, Jeff and their three daughters. Sue commenced working for YMT in 2015. Sue attained a Bachelor of Commerce majoring in Accounting from the University of Wollongong and worked as a chartered accountant for 22 years across different firms in Wollongong and Sydney. In her spare time, between running her daughters to and from their activities, Sue loves spending time with friends and family and eating out at nice restaurants with her husband. Christy grew up in the Wollongong area NSW where she now lives with her husband of 12 years and three gorgeous children. 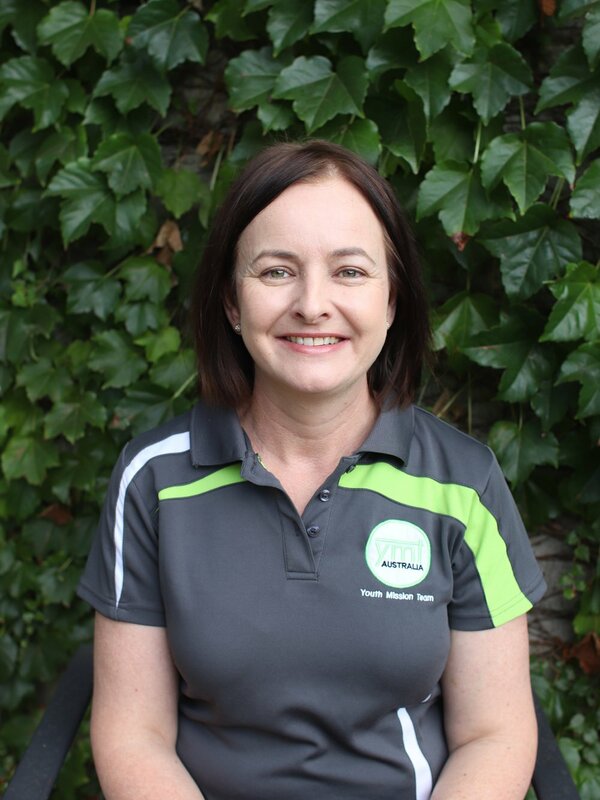 Christy has been with YMT since 2003, volunteering as team member in YMT Perth, then as Ministry Coordinator and Team Manager in the following years. She returned to YMT in 2015 as Team Manager in Wollongong. She now works in the National Office as the National Liaison Manager. Christy is trained in secondary school teaching, majoring in Visual Arts and Religious Education, with a Masters in Theology. She has had experience both within the Catholic Diocese and in CEO schools, including roles as Young Adult Coordinator, Learning Support Teacher, Family Educator, and Religious Education Teacher. Christy is passionate about youth and young adults, as well as coffee, op shopping, having date nights with the hubby, and travelling. Jane Fitzwilliam grew up in Traralgon in regional Victoria but now lives in Wollongong. She has been involved with Youth Mission Team for many years, pastorally caring for many team members and women’s households in the Wollongong branch. She has experience in administration through years of volunteer work within community organisations. Jane is happily married to Tim and has seven beautiful children. When she’s not working with the team, Jane likes to get outdoors, play sport and go to the beach with her family. Louisa grew up in southern Sydney, but now calls Wollongong home. She served on YMT Perth in 2013, and in 2016 completed a Bachelor of Arts in Media Studies & Theology at the University of Notre Dame, Sydney. Louisa has worked as a Youth Ministry Support Officer and Student Catechist Program Coordinator at the Catholic Diocese of Wollongong, as a Youth Minister at St Mary's Cathedral College Sydney, and as the YMT Wollongong Manager in 2018. She has also been working as a professional musician part-time for many years. In her free time Louisa loves going to the beach, making music, drinking coffee and watching F.R.I.E.N.D.S. with her husband Colin. Leah grew up in Harvey Bay, Queensland, and moved around working in the mining industry. She landed in Wollongong where she now lives with her husband Mike & their son Max. Leah has experience managing accommodation for miners in Mt Isa as well as in a number of administrative roles. Her fantastic management and interpersonal skills make her a great Venue Manager. In her free time Leah enjoys art, making and designing furniture and homewares, playing ukulele and spending time with her husband and son. Pete has a Post-Graduate Diploma of Psychology and a Certificate IV in Statutory Government Compliance. 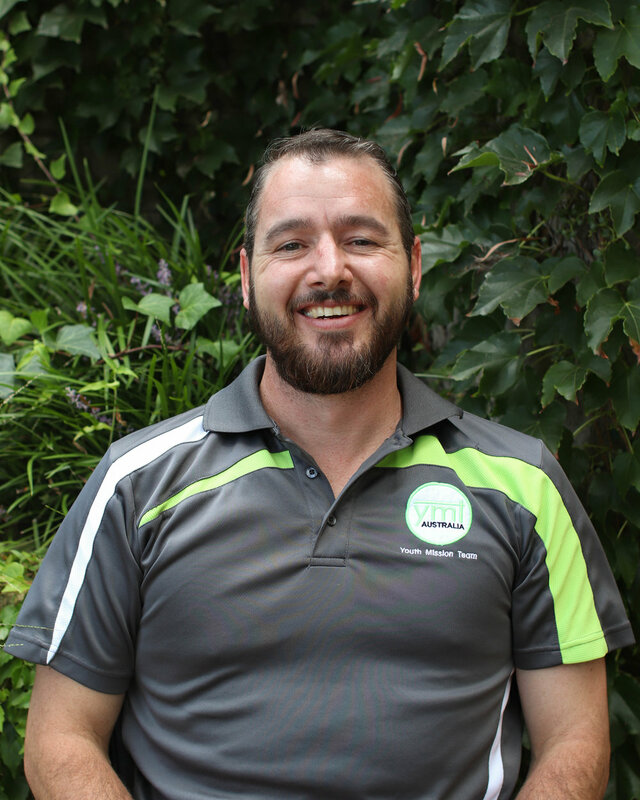 Pete worked for the Department of Immigration and Citizenship for five years before commencing as the YMT Sydney Manager for three years from 2014-2016. Pete first met the team when he was in Year 10 and served for two years in YMT Perth during 2005 and 2006. In 2014 he returned as YMT Sydney Manager as well as studying a Masters in Psychotherapy & Counselling at the Australian College of Applied Psychology. In his free time, Pete enjoys carpentry, stand up paddle boarding, a game or two of poker, and spending quality time with friends and family. Pete also has a skydiving license! Meg Harrison was raised in various cities all over Australia, from Canberra to Cairns to Sydney, but has settled and made Wollongong her home. 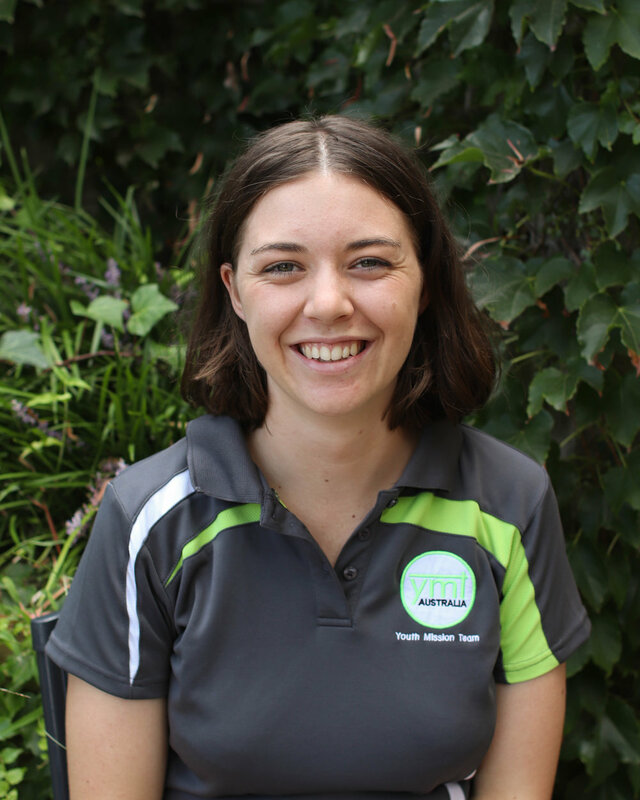 She served as a volunteer on YMT Perth & YMT Wollongong in 2013, and on YMT Wollongong in 2015. Meg studied a Bachelor of Performance (Theatre) at University of Wollongong, graduating in 2018. She is very excited to be back and working with the team as the YMT Sydney Ministry Coordinator in 2019. In her free time Meg enjoys a spot of karaoke, going to the beach, eating seafood and hanging out with her fiance, Brendan. Born and bred in Perth, Dave has been around the team for much of his life, attending iSTAND Camps as a teenager himself. Dave has been with YMT since 2015. He served two years on YMT Melbourne and YMT Wollongong consecutively. In 2017 he returned to his hometown to take on the role of Ministry Coordinator, and since 2018 Manager of YMT Perth. Dave has completed a Bachelor of Science (Engineering) and is currently studying a Masters of Education (Secondary) part-time whilst managing the team. Apart from the work of the team, Dave’s passions include sport, land based angling, agriculture and his glorious fiance, Beth. Josh grew up in the southern suburbs of Sydney where he met YMT. He answered the call and served on YMT Melbourne in 2012. He then took on the role of managing the team from 2013-2014. Josh took a break to work for Melbourne Cricket Ground and has been back with YMT since 2017 as the YMT Melbourne Manager. Josh has completed a Bachelor of Business and Commerce (Sports Management) and is currently completing a Masters in Education (Secondary). In his spare time, Josh enjoys listening to Taylor Swift on road trips. 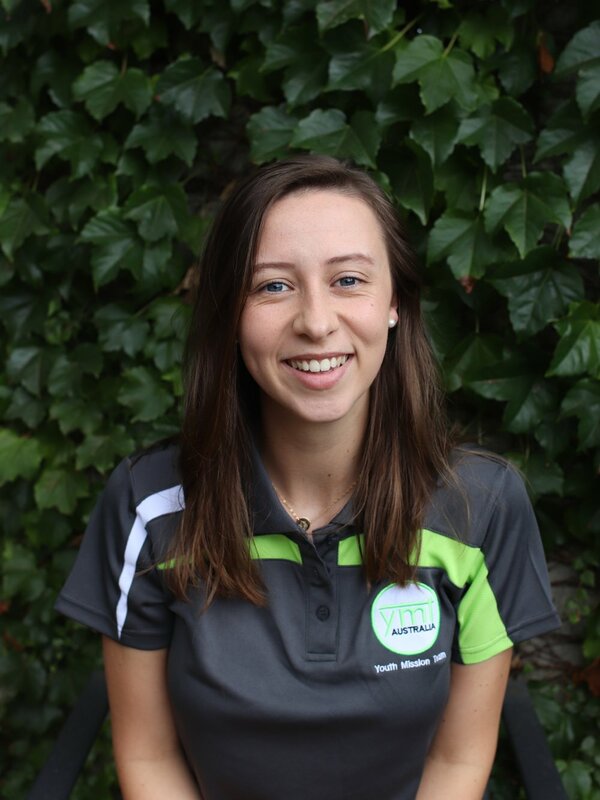 Genevieve was born and raised in Melbourne where she is currently studying a Bachelor of Secondary Education and Visual Arts. Her first encounter with YMT was in 2009 when she began regularly attending their iSTAND youth group and was inspired by the team members’ authentic joy and dedication to prayer. After graduating high school Gen went on to serve with YMT Wollongong in 2013 and YMT Perth in 2014. Gen has completed a Certificate III in Business and has previously worked as a Youth Minister at Mount Lilydale Mercy College. She is an underway member of DOJ. Gen is passionate about education, the outdoors and eating the daily recommended intake of vegetables. In her spare time she enjoys coffee catch-ups, live music and hiking with her siblings. Mark has had a robust career in Education, having accomplished 42 years as a teacher and 18 years as a Principal in Catholic Schools. He is passionate about the work of YMT and transforming the lives of students with relevant, inspirational and engaging programs.